The Internet of Things is ubiquitous, disrupting every aspect of how we live, work and play. With smart home, for example, a home owner can communicate with their IoT-connected thermostat as they leave the office, ensuring that they can come home to a cool house on a hot summer afternoon. Now, homeowners can optimise air conditioner usage, reducing energy consumption, and lowering their electric bills in the process. The network of Internet-connected everyday objects able to send and receive data in-real time using embedded sensors, is continuing to grow at an unprecedented rate – with experts estimating about 24 billion connected devices by 2020. In the same way IoT is reducing costs and freeing up consumers’ time, IoT is transforming the way business is being conducted – even in technology-lagging industries, says Chad Hollingsworth, CEO, Triax Technologies. Construction, which according to a recent McKinsey study, is the second least digitised industry, and averages 1% global labor productivity growth compared to 2.8% for the total world economy and 3.6% for manufacturing, is an industry ripe for IoT disruption. Several barriers have contributed to construction’s lagging digitisation, including industry fragmentation, lack of Internet connectivity, and limited IT department and implementation resources. From a technology provider perspective, construction remains an inherently challenging IT environment, with heavy materials, machinery and equipment, a transient workforce and vastly different sites from one project to the next. And for general contractors contending with 1-3% profit margins, tight project timelines and a skilled labor shortage, the identification and implementation of new, IoT solutions has not been a priority. Fortunately, this is changing. Spurred in part by increased connectivity, widespread mobile adoption, and readily available solutions, leading general contractors are leveraging IoT to automate processes, unlock efficiencies and address industry challenges. Real-time monitoring and reporting: IoT technologies are being used to automatically collect crucial worksite and project information and alert personnel to anything outside the normal range. Environmental sensors, for example, can monitor temperature and humidity to optimise the concrete pouring or drywall installation process to help extend the useful life of materials. Drones are increasingly used for site surveying, photo documentation and hazard evaluation before and during a project, gathering the kind of data that was previously unavailable, highly risky, and expensive to collect. In addition, wearable sensors are being used to monitor worker activity and location at the jobsite and to detect if a worker suffers a slip, trip or fall injury. 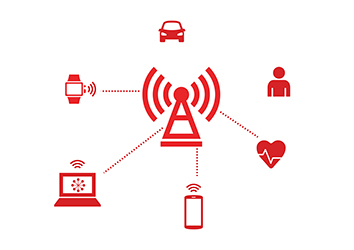 On top of improving response to an injury, documenting near-misses and generally improving risk management practices, automatic data via IoT-connected devices eliminates the time wasted tracking down people and information. These IoT field applications are helping to paint a more accurate, robust picture of worker operations, site activity, and project risk. Single stream of real-time information: With the rise of IoT, information that was previously unavailable or locked in carbon silos between workers at the jobsite and upper managers in the corporate office is easily accessible from anywhere at any point in time. This is particularly important in the deadline-driven, results-oriented construction industry, where workers don’t have the time to walk 12 floors back to the trailer – or drive forty-five minutes to the office – to access the most recent blueprints, as-builts, or change orders. 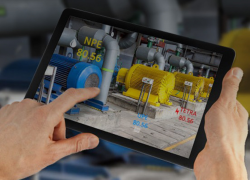 With the direct costs caused by rework due to poor information and document control averaging 5% of total construction costs, it’s essential that every project stakeholder has access to the latest information, regardless of time, geographic location, or device, and the IoT connected jobsite makes that possible. Enterprise insights: Ever-improving data capture, reporting and sharing enhances project communication and decision-making. With a centralised, cloud-based project dashboard, there is increased transparency – and accountability – among stakeholders. Owners can view manpower by subcontractor or trade at any point in time, and general contractors can check whether a safety incident has occurred across project sites, improving risk management. Additionally, robust workforce and safety data enables improved trends, insights and protocols across companies. Instead of locking insights into paper logs or files based on subcontractor, project, or region, IoT-enabled, real-time data analysis allows construction companies to take project insights with them to the next site, enabling continuous refinement of practices and procedures. By embracing new IoT technologies, construction is becoming a more digitised, forward-looking industry. IoT is powering the connected jobsite, allowing contractors to solve long-standing communication, collaboration, safety and productivity challenges. With wearable sensors for workers and increasingly smart tools, machinery and equipment, key project stakeholders can see where their resources are on a jobsite and how they’re interacting with each other, allowing projects to be built more safely and efficiently than ever before.